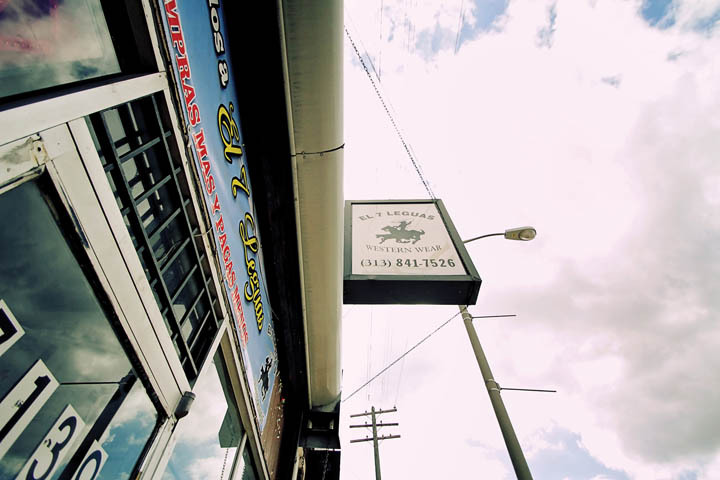 An insider’s tour of the real Mexicantown. Mexicantown has long been considered one of Detroit’s treasured neighborhoods. Nestled within the boundaries of Southwest Detroit, its abundant diversity, walkability, and thriving business district has long been a magnet for newcomers. Some consider Mexicantown to be the stretch of Bagley and part of West Vernor Highway. However, this community of second- and third-generation Mexicans and recently arrived immigrants reaches as far west as Woodmere Cemetery and north to Michigan Avenue. Most Latinos living in Southwest Detroit are from the state of Jalisco, specifically an area in Mexico known as Los Altos (“the Highlands”). Los Altos is composed of a string of villages that are the birthplace of three of Mexico’s most popular cultural exports: mariachi music, cowboys, and tequila. In fact, the mountainous region has the perfect weather conditions to grow blue agave, the necessary ingredient in tequila used to create the wondrous cocktail known as the margarita. While the last big wave of Mexican immigrants came in the late 1990s, new immigrants continue to trickle in, and with them they bring their rich gastronomic traditions. 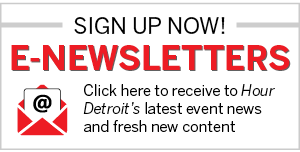 Southwest Detroit is a place with an abundance of authentic food and cultural experiences. I could fill many more pages telling you about the unique places to visit in Mexicantown. I love this neighborhood. 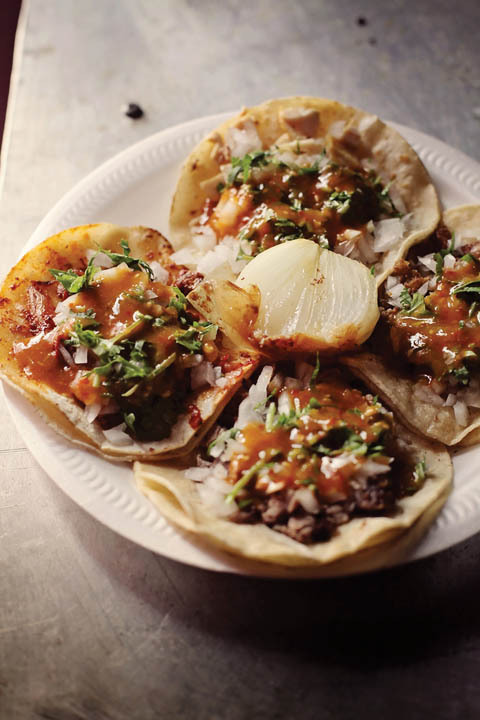 The next time you’re in Southwest Detroit, take a slow drive down West Vernor, all the way toward Dearborn, and keep an eye out for the blankets emblazoned with the Virgen de Guadalupe hanging outside of storefronts, the boutiques selling colorful quinceañera dresses, and the dozens of eateries where you can experience a little taste of Mexico. If you want rows of gated parking, chimichangas, and nachos, this tour might not be for you. But if you’re the adventurous type who wants to discover Mexicantown’s unique shops and culinary destinations, then read on for some insider secrets hidden from plain view. For much of my life, my grandmother would come and stay here in Michigan for long periods of time. We looked forward to her visits. Stuffed in her suitcases were treats like goat cheese, cajeta (Mexican caramel), and dried fruit candy made in her small village in Jalisco. When she left, her suitcases went back just as full — bags loaded with jars of American face cream and tortillas from La Jalisciense. My grandmother has passed, but the tortillas she loved are still being made here. Every morning at 2650 Bagley St., the smell of freshly made tortillas billows through the air. At 4 a.m., the La Jalisciense tortilla factory starts cranking out the indigenous corn pancakes that date back to the time of the Aztecs. The tortilla shop first opened its doors in 1946, when Damaso Abundis and his son Raymond set out to cater to Detroit’s growing Mexican community and make fresh tortillas like the kind found in their homeland. Sixty-seven years later, second- and third-generation family members still run La Jalisciense. If you want to create your own Mexican fiesta, this is the place for great-tasting tortillas. My family has a long tradition of making tamales. At Christmastime, our kitchen became a tamale assembly line. Everyone took their place: My mom carefully seasoned the beef, my father kneaded the dough, and my sisters, nieces, and aunts spread the cornmeal into the corn husks and wrapped them like blankets. Just a few doors down from La Jalisciense is the small grocery store at 2628 Bagley called Algo Especial. The store with the ceramic pigs lining its windows has been owned by Martha and Raul Hernandez since 1980. Algo Especial carries an array of Mexican products and a great selection of Mexican music. Walk past the pictures of mariachi musicians hanging on the walls and, at the back of the store, you’ll find their superb handmade tamales. Tamales are an artistry all their own, and no one understands this better than Martha Hernandez. A lot of businesses in Southwest Detroit make tamales, but hers are exceptional. Hernandez’s personal recipe leaves the corn fluffy and cooked to perfection. Also Especial offers a variety of flavors such as marinated pork, beef, cheese, and jalapeno, and specialty dessert flavors in strawberry and pineapple. My mom still makes her own tamales, but if she ever stopped, this is where she’d buy them. There’s nothing more intoxicating than the aroma of baking bread. 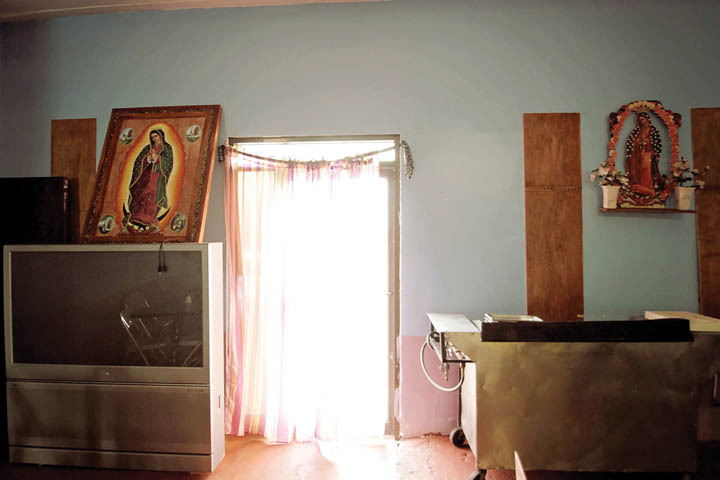 As a young girl, I lived in Jesus Maria, my parents’ village in Jalisco. In the evenings, I’d beg for the task of going into the village square to buy pan dulce (sweet bread). I loved learning the names of each individual bread and picking my favorites for my family to eat. Over the last decade, several traditional panaderías (bakeries) have opened in Southwest Detroit. Chilangos, on West Vernor, and Lombardia on Proctor Street have joined the ranks of the more established bakeries like La Gloria, Luna’s, and Mexicantown Bakery. Mexico’s current tradition of baking dates back to the 19th-century French occupation. The French rule in Mexico was short-lived (1863-67), but their baking legacy remains to this day. If you have a love of baked goods, a visit to Sheila’s at 2142 Springwells is a must. Fidencio Espejel had been living in California for 15 years when his brother, who lived in Detroit, invited him to come for a visit. Espejel immediately saw opportunity in the city and bought an old corner bakery that was about to close. In 2005, he moved his family from Cali to Southwest Detroit, and that same year opened the panadería La Sheila’s, named after his youngest daughter. Espejel’s commitment to traditional-style baking has earned him a reputation with the locals. 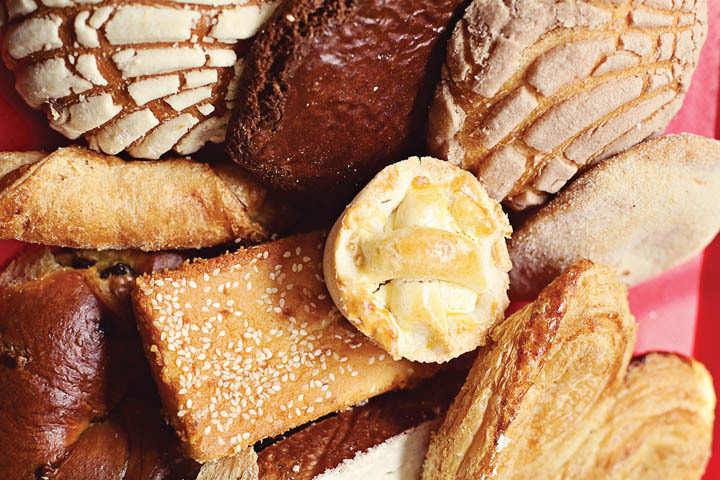 Like they do in Mexico, Sheila’s uses ingredients such as anise, amaranth, and cinnamon to make authentic pan dulce. Latinos line up every evening, grab tongs and a tray, and pick from glass cases filled with conchas, polvorones, and the ever-popular pastel de tres leches (three milks cake). I love the smells, colors, and sounds of people selling and bartering — the cacophony of the marketplace. As a child growing up in Mexico, one of my favorite experiences was my weekly visit to the market. One needn’t travel to Mexico to experience this pleasure. Southwest Detroit has its own version of a Mexican bazaar. Mi Barrio Plaza, at 4865 Michigan Ave., is a recent addition to the neighborhood. Here, you can find everything from norteño and conjunto music to cowboy boots and lamb barbacoa, a Mexican culinary delicacy. On weekends, you can find Gabriel Mercado at his stand cutting meat on a big wooden chopping block. Mercado’s been making his barbacoa the exact same way since he was 20, and he says he’ll never divert from the recipe passed down from his father. He fills his barbecue pit with firewood, then layers mint leaves, chile mora, chile de arbol, carrots, potatoes, whole onions, and fresh garlic. Then comes the lamb, which is covered with large pieces of maguey (a form of cactus) and slow-cooked for hours until the meat takes on an earthy, smoked flavor. Every Saturday and Sunday, the kitchen at El Barrios is a frenzy of activity. Mercado and his wife work nonstop making fresh tortillas to serve with the barbacoa, lime, cilantro, and salsa. On most weekends, he sells out. In Mexico, tacos are culinary art. People travel far and wait in long lines to get into restaurants or eat at stands with delicious tacos. 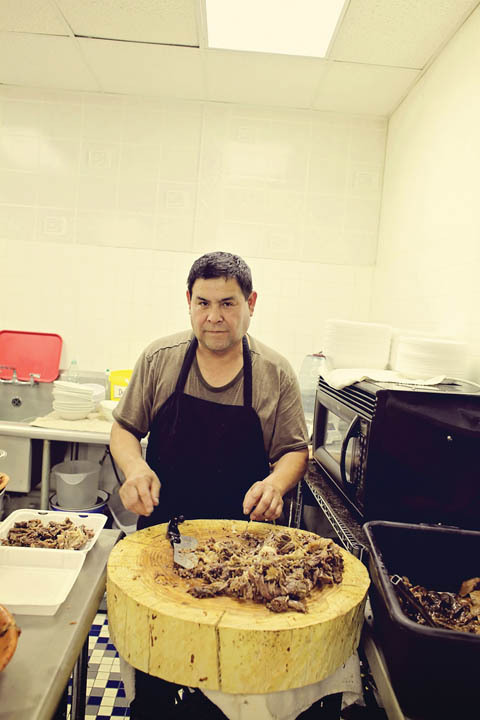 On any given night of the week, you can find taquero (taco maker) Hector Gutierrez running the Taco Bar at La Mexicana Supermercado at 7934 W. Vernor. Gutierrez is a lively character who sings, cracks jokes, and makes the best tacos de carne azada (steak tacos) in the neighborhood. He says making food with love is what makes his tacos so delicious. I think it’s the fact he soaks the meat in lemon. One of the best all-around full-service Mexican restaurants is Taqueria Nuestra Familia, on 7620 W. Vernor. But there are plenty of other hidden gems. If you head west from downtown on Fort Street, you’ll pass a lot of abandoned buildings. You can see Detroit’s glory days hanging on the facades of dozens of derelict structures. Keep driving, past the old Cadillac plant on the left, and there, just past the Coney Island on the right, you’ll see a building with “El Roble” (The Oak) painted across the side. The building’s exterior might not be the prettiest, but the restaurant inside more than makes up for it. 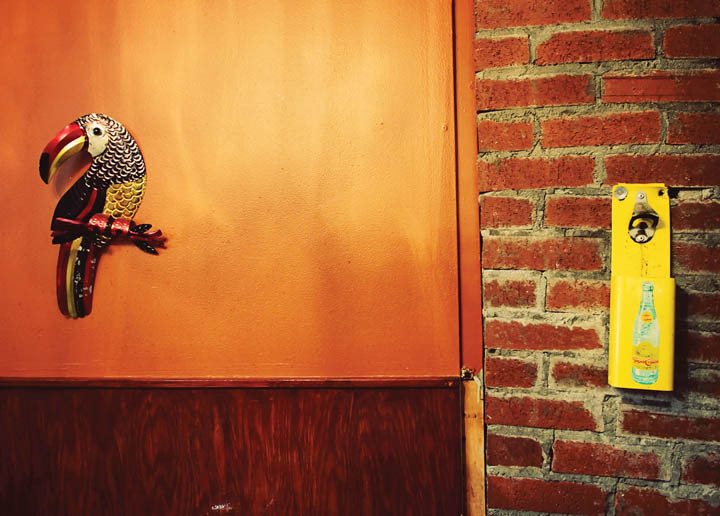 In 2010, Arturo Leon opened Taqueria Valente at 6426 W. Fort St., in the building called El Roble. His business is a family affair. Leon oversees the restaurant, his son Valente runs the grill, and his daughters Romelia and Alicia wait tables. 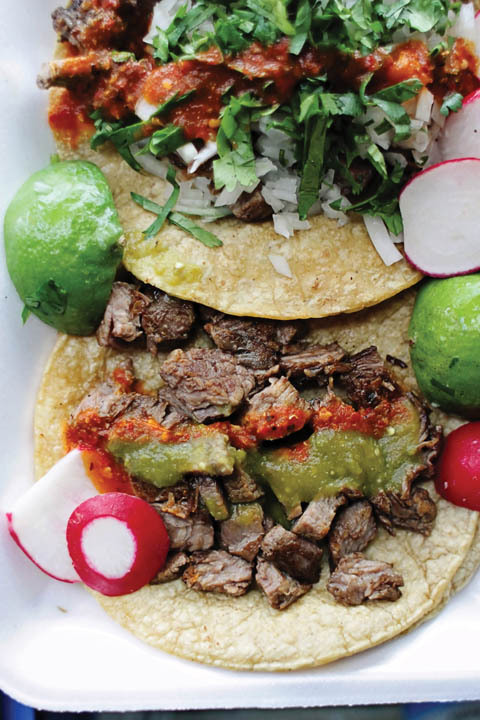 Taqueria Valente is known for its exceptional tacos Al pastor — marinated pork cooked on a spit. Leon has been cooking since he was 13. At 55, he’s a taco artisan. He revels in the details of preparing fresh Jalisco-style tacos and insists on high-quality meat, fresh spices, and tomatillo to make the marinades and salsas. After years of toiling in the competitive taco business in Mexico City, Leon perfected his Al pastor method and brought it to Detroit. 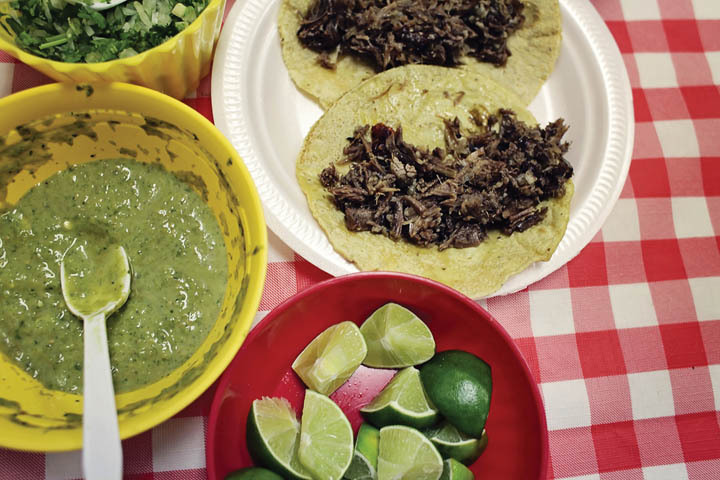 Tacos are abundant here, but few have the mouthwatering quality of Taqueria Valente. In the town of Arandas, Jalisco, there’s a famous seafood restaurant called El Chuyin. 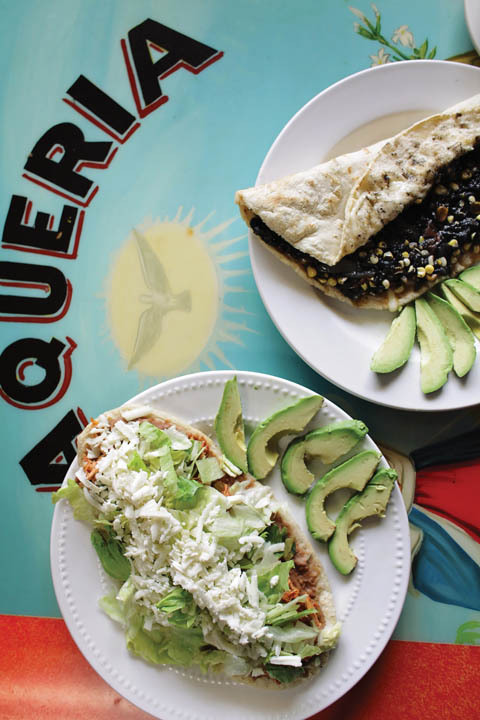 Israel Rocha, owner of La Terraza on West Vernor, was trained at Chuyin and learned the art of seafood with recipes native to the coastal Mexican towns. Rocha comes from a long line of cooks. His grandfather made carnitas (braised pork), his grandmother cooked and sold pozole (a traditional pre-Columbian stew), and his father was a taquero. 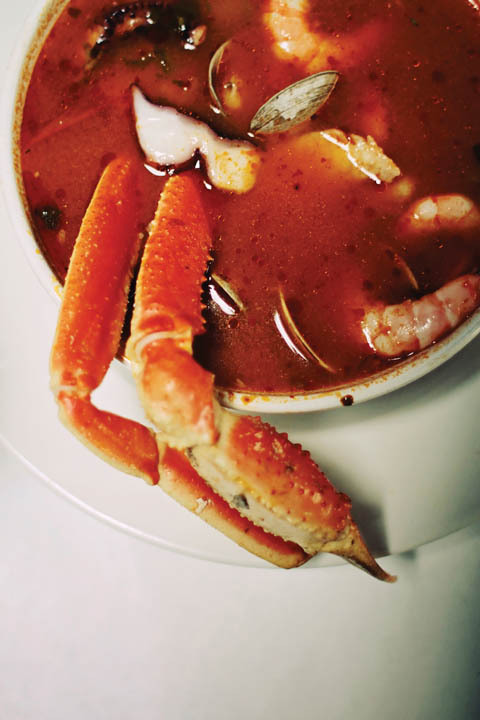 Rocha fell in love with cooking seafood. Like many young men his age, Rocha migrated from Mexico to the United States to look for work. He started out in the construction business but longed to be in a kitchen. He began selling food at Mexican soccer events, eventually gathering enough money to buy a taco truck. After years of saving, he opened La Terraza Seafood Restaurant in Detroit. La Terraza offers what no other restaurant offers: coctel de camarron (Mexican-style shrimp cocktail), sopa de siete mares (seafood soup), ceviche, and exquisite tostadas de marlin. Rocha says the mistake many restaurants make is that they adapt to the culture of bad Americanized Mexican food instead of insisting that people become accustomed to eating authentic Mexican-style regional cooking. At La Terraza, he’s committed to keeping the traditional recipes alive. As you stroll through La Posada’s Market at 1930 Springwells, you’re transported from a traditional ethnic corner store to the Lara family kitchen. Guadalupe and Letty Lara opened their fonda (a small home-style kitchen) in 2007. Their intent was to bring traditional Jalisco home cooking to new residents of Mexicantown; in particular, those single, hard-working men who left their families in Mexico and have a deep nostalgia for their homeland. La Posada’s not your average food joint. It’s half market and half fonda. That means you’ll find fresh produce, pickled pig’s feet, Mexican sodas, and a molcajete (a mortar, perfect for crushing chiles), and a full menu of fresh, hot meals. Sisters Guadalupe and Lety Lara are no joke when it comes to food. Sitting at their carved wooden countertop is like sitting in their kitchen table, about to eat what they’ve prepared for a family dinner. On any given afternoon, you can eat chiles rellenos (stuffed poblano peppers), caldo de pollo (Mexican chicken soup), or their specialty — birria (a spicy meat stew). The birria is so popular that they now sell it by the pound. If you’re in the mood for a Mexican feast, but you’re not in the mood to cook, the Lara sisters can help. On Sundays in Mexicantown, you’re likely to find young men coming from church clad in their cowboy clothes. Cowboy boots are universally loved, but nowhere is cowboy culture more alive and vibrant than in Jalisco, Mexico. Jalisco is home to the national sport of charreria, our version of a rodeo. The cowboy ethos has deep roots within the Mexican community. Jalisco transplants living in Southwest Detroit maintain their love of cowboy culture and represent their vaquero roots at church, weekend dances, and quinceañeras. 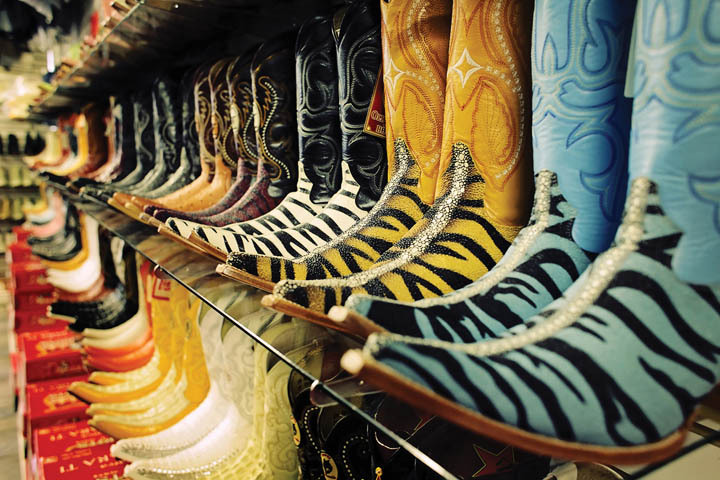 If you’re hankering for your own pair of cowboy boots, take a trip to El 7 Leguas Western Wear at 7139 W. Vernor. There you can find fancy red snakeskin boots and matching belt buckles, as well as embroidered Western shirts with pearl snaps. Author Maria Elena Rodriguez was the President of the Mexicantown Community Development Corporation for more than a decade. Rodriguez helped dozens of women create their own businesses, developed the festivities around Dia de los Muertos, and was influential in branding the neighborhood. After years of organizing cultural events, Rodriguez felt something was missing. Southwest Detroit needed a collected history of its Mexican community to highlight their impact on the city. Soon she began documenting the 100-year history of the Mexican community in Southwest Detroit. Detroit’s Mexicantown was published by Arcadia in 2011. The paperback is flush with rich black-and-white photographs and personal stories of the people who created iconic businesses like La Colmena (Honey Bee) and Xochimilco. For an inside look at the history of Detroit’s Mexican community, pick up a copy at Barnes & Noble or Southwest’s own Algo Especial.